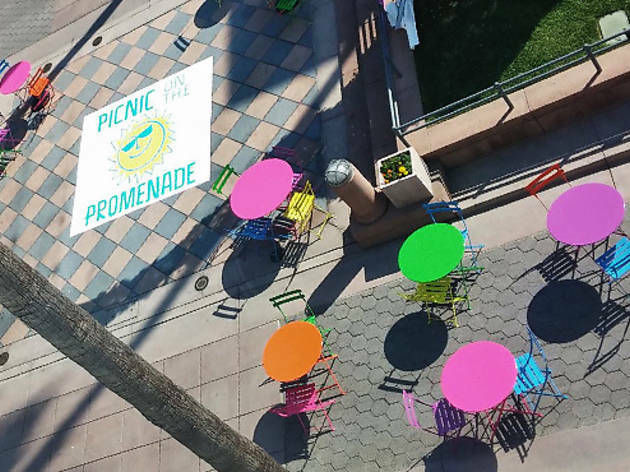 Photograph: Courtesy Downtown Santa Monica Picnic on the Promenade. Ease into the weekend with this pop-up patio every Friday afternoon on the Third Street Promenade. 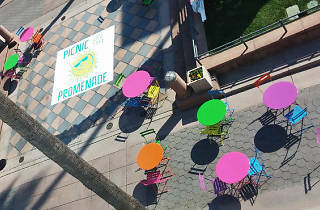 Throughout the summer, the corner of Arizona and Third Street transforms into a colorful, outdoor eating area, complete with a KCRW-sponsored DJ set each month.